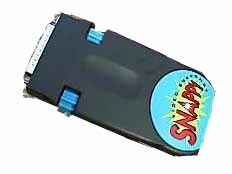 but a video frame grabber used with a video camera. It was how I did web pages in 1995. Ancient history. 768x576 pixels was better than most 640x320 cameras in 1996. Want to see what 0.44 Mpixel looks like? I bought this camera as a reward for myself after MSN featured my snow dome site as one of their webpages of the week back in 1996. 1280x960 pixels. Anniversary gift from my wonderful wife. My very first Nikon. Nikon's first digital, I believe. 1600x1200 pixels. Bought it on closeout for $550 when Computer City went bankrupt. Came with a faulty zoom switch that Nikon repaired. Then I dropped it. Back for repair. Dropped it again and broke the battery door. Still use it though. 1600x1200 pixels. Bought on impulse along with a $100 Lithium battery that died after a year. It runs OK on NiMH AA's though and I gave itto my brother-in-law. 640x320 pixels. Built-in flash. 20 bucks new! . My son's favorite camera until he met Chicago's Mayor Daley at a restaurant and got him to pose with him. The flash didn't go and the shot was ruined. 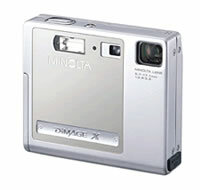 So now I bought him a Minolta Dimage X (next) for a birthday gift..
2592x1944 pixels or 5MP! A great little camera, but you gotta be careful with focus in dim light. Unfortunately, I wrecked it. Then I lost it;. 3264x2448 pixels or 8 MP! We were planning a trip to China, so I wanted a camera to replace the waterlogged G500. and thought it was time to go dSLR. I chose Olympus because of I had owned their 35mm gear..
2592x1944 pixels, same as the G500 which I lost. Wanting a pocket camera, I bought this one refurbished in the Spring of 2006 for $125. Downgraded myslef to a 6 MP camera (3008 x 2000) with the Pentax, but picked up shake reduction and better high ISO performance for $510. Sigh, I had to sell the red hardtop off my miata to finance this camera.